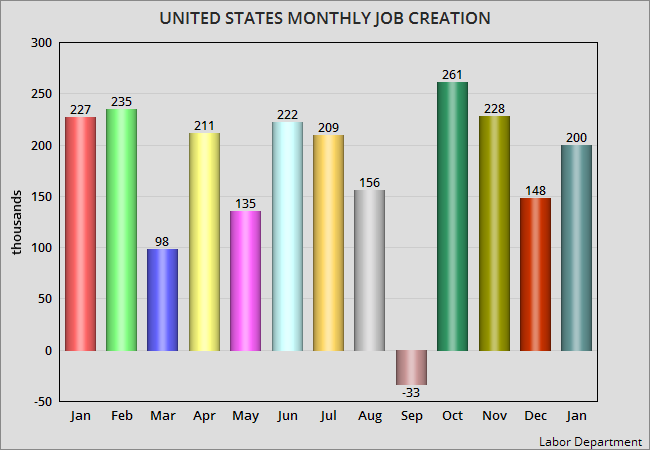 The Labor Department has released it's statistics for the month of January. It was not great. The economy produced 200,000 new jobs, but that was not enough to keep up with the number of new workers entering the civilian work force -- and the number of unemployment workers rose by 108,000. 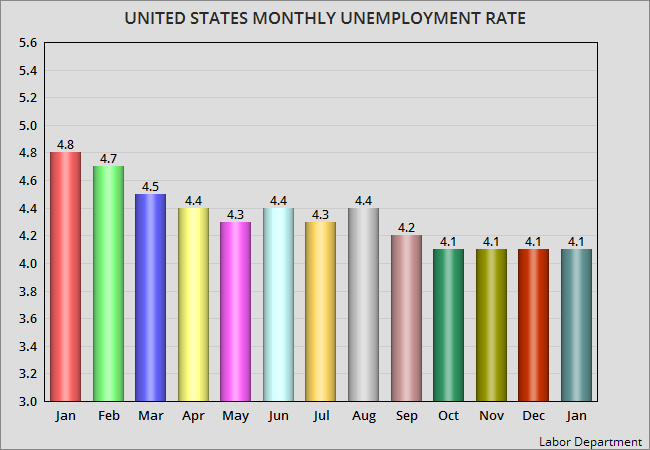 That was not quite enough to raise the unemployment rate -- and it remained mired at 4.1% for the fourth month in a row. Donald Trump likes to brag about the great economy and low unemployment, but a great economy would be able to break through the 4.1% barrier and approach full employment (3.0% to 3.5%). Trump also bragged about low Black unemployment (even though it is still twice the rate of White unemployment). But this new report busts his claim, as Black unemployment rose by nearly a full percentage point in January (from 6.8% to 7.7%). Trump and his Republican cohorts have claimed their new tax law will create massive new jobs, but numerous companies announced in the last couple of weeks that they are laying off thousands of workers. It will be interesting to see next months numbers.